1. You’re the creator, founder and face behind the brand Nikki & Mallory tell us your name, where you are from and how long you've been an entrepreneur? That’s me! My Name is Treasure Mallory. People always ask if Treasure is my real name so before you start to wonder, it is my government  I’m from Pasadena, California but my family is from North Carolina. As much as I’d like just claim Cali, the East is in my raising, it’s in my blood. Mentally I’ve ALWAYS been an entrepreneur; having to listen to a “boss” and follow protocol has always been hysterical to me [still laughs] - but realistically, I’ve been an entrepreneur since 2013, and finally Launched my Line Oct 2015. 2. Why did you become a designer ? Many creatives have other things they might have dabbled in before their current business, what about you ? Believe it or not, I still work! I currently work on various television shows. It’s more so freelance work. I’m not obligated nor do I have a boss. No thanks to that. BUT, prior to starting my business I worked in Entertainment most of my life. I went from working at NBC Universal in On-Air Promotions, to Sony Pictures Television as a Traffic Assistant. Sony was my dream job until I was laid off (a blessing from God). From there I continued to work in many facets of the Entertainment Industry – It’s literally been my LIFE. And that led to me Acting/Modeling & working hella odd end jobs to make ends meet. After being fed up with that – I went back to school for Fashion Design. That’s when I became a Designer! 3. Why did you name your business Nikki&Mallory and how would you describe it to someone who never heard of your business? Nikki & Mallory is me in a nut shell. Nikki is my nickname, Mallory my last. Nikki is the wild, quirky & edgy/boho-like extrovert. Mallory is the slighty serious/minimal professional with a tomboy undertone; the introvert. I decided on this name after working in the industry and being fed up with them trying to alter my authenticity. They wanted me to “look” one way and I just wanted to look like my big-haired, tattooed, pierced up crazy clothes wearing self! I was stuck between trying to “appeal” to the masses and being myself. Something that was never an issue pre-industry. I went thru the motions and carried all the b.s in my bag (metaphorically) until it left me exhausted & empty. The name represents a creative individual with layers of style, character & personality. She is who she is without apology and never looks the same! My brand is created for the everyday woman who has a story of her own that contributes to who she is, authentically – and that story, is in her bag! Kind of like, if you deal with me, it’s going to be all of me, the REAL Me. Nikki&Mallory. 4. I personally love your bucket bags they are so dope and I can’t wait to order one this month:) What has been your favorite piece to create and why? (Smiles…Thank you love!) My favorite piece, so far, has been the “Dyed Fringe Lilly Pack” (it’s like a fanny pack) I custom designed it for a Make-Up Artist on a show that I work on. Her style is eclectic with a twist of bohemian/rocker. When she approached me with her idea…it literally gave me chills. I was so excited just to sketch it for her. I tend to play it safe based on the demographics I usually design for but, creating her piece gave me LIFE. It made me remember WHY I started designing! It turned out to be the most outside-the-box piece I’ve created so far and made me say F it, I’m going back to the way I originally started designing. You either like it or you don’t! 5. We like to keep it all the way real at PE tell us about the hard days when you don’t feel like getting up to design... How do you push through? What inspires you? You know what, to be real with you... years ago when I was away at college (the first time), my boyfriend at the time and the person who got me through a LOT, was murdered – it was the HARDEST thing I’ve had to experience. I made a vow to never have another bad/hard day. I always tell people “I don’t have bad days; I have bad moments”. I don’t like that type of energy to control me. I say that to say, if I can wake up, able to breathe, healthy and everyone around me is healthy, alive and happy…I promise you I’M GOOD. If I don’t feel like designing or have energy it’s simply because I’m in my head too much, over-thinking, things aren’t happening “fast enough” etc., you know, stupid human stuff that we sometimes don’t understand. Other than that, there’s a multitude of things that inspire me because I’m an artist but, give me some good music and I’m instantly inspired. 6. 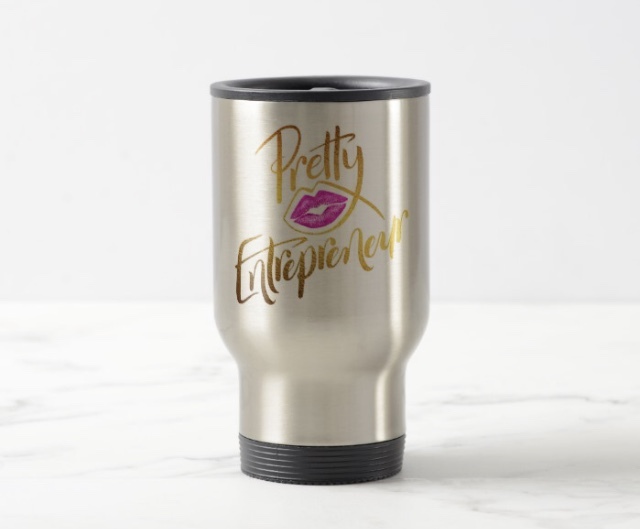 Whats your favorite part of being an entrepreneur? The best part of being an entrepreneur is knowing that I create my atmosphere, I control my environment – if I don’t like the way my business is going or how it’s making me feel, I’m in control of making it better. Not someone else telling me what to do, how to think, look, act, what time to be in, take lunch or clock out.... It’s ALL up to me and I love it. It’s Freedom at its best. And the type of bird that I am, I need to be free or I am simply going to die. Let’s do it! Personally, I just want to continue growing closer to God. I’ve tried to go at life alone in the past, and it got me nowhere, fast. I’m not crazy spiritual or anything but I am NOTHING without his strength, guidance and security. That, buying my first home *fingers crossed* and just remaining true to myself. Business wise, I’d love to house my bags in multiple boutiques, local and not local, turn my business into a mobile boutique, continue expanding the brand, get my bags featured on a couple more t.v shows/red carpet appearances and in the hands of more & more queens who appreciate quality handmade goods! 8. What advice would you give to another female entrepreneur in the same field as you? Be real with yourself first and be realistic about what you want. Create a plan, write it down and give yourself a list of daily/weekly, monthly goals to accomplish and be prepared to put in work, overtime and sleepless nights. A lot of people see what I do and think it’s cute but it comes from days, nights and weekends of pure work. If it’s not something you love doing, you will fail. If you just want to make money, be cute, gain a ton of unrealistic followers, likes and comments, you will fail. My mom raised me with a lot of tough love and thick skin…be ready to go hard and understand rejection or one mistake is NOT the end of all. Be meticulous, be persistent, be a beast and don’t stop until your business is everything you imagined. There is NOTHING you cannot do, but whatever you do, make sure it is true to you and you can stare at it in the face every day all day whether you’re making money or not and still say, damn I love this doing this sh*t! 9. Whats next for Nikki&Mallory and how can people stay connected with you? Hopefully some fashion shows and adding some models to the Nikki&Mallory team so I can fallback. I have many visions...just looking for the God’s green light. For now, I’m waiting on new sewing machine to arrive so my stitching can be better than it was yesterday lol! Come be a Bag Lady with me!